Over the past few months I have been conditioning my body through boot-camp and a healthy eating lifestyle and the most important key; submitting to my trainer because he knows what is best for me. This has me thinking about how hard it is to get our flesh and “wants” in line with what is good for us; along with the difficulties that come with pressing through the hard part in order to reap the benefits. Have you ever made a commitment for a life change and found yourself wondering what have I signed up for? As with any commitment, you have the challenge of staying the course. For instance, eating healthy, giving up foods you once ate, that for some reason we find so good and at times make us “feel” so good to eat. Over time these choices can take a toll on our body not to mention the dreaded weight gain. So we make a change, for me it’s a lot of protein and loads of string-cheese, in spite of my constant carb cravings. This does not always fulfill my desire to eat chocolate & junk, but I know that these choices will bring healthy living. As I thought about the string cheese, the Lord began to show me how we are that way with growing more in Him. 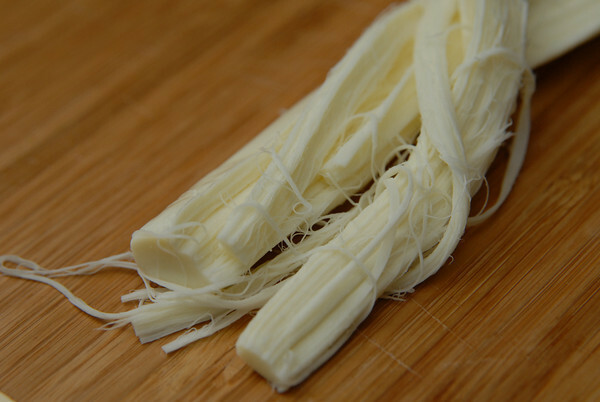 If you look at the string cheese it requires work to eat it, peeling away layer by layer, not to mention the most crucial part, the decision to eat the string cheese as opposed to cheese dip. Our growth in the Lord is very similar. We start out with a heart to make a change and make a commitment to change our life by getting the junk out. As time goes on we pick things back up that are unhealthy choices for us and hinder our Spiritual growth. We pick up offenses, old habits, become lazy in our prayer life and forget picking up our Bible and lastly we start sleeping in on Sunday’s. Like the string cheese, part of our growth being God peeling off the layers and removing the things that don’t benefit us one layer at a time. He knows what is best for us as we submit our life to Him and make the best “Spirit” choices no different from making the best “food” choices that benefit our life. It takes commitment, determination,submission and surrender to have the best life that God has for you. Start today with one layer of string-cheese. i dont think string cheese has to do with god srry babe…. also u dont have to peel the string cheese, you can just eat it whole. also why not sleep late on sunday if its supposed to be a day of rest? ?